Bad Summon explores the relationship between the majesty of nature and the quiet violence humans inflict upon themselves and others. The poems are dipped in loss, traveling between death and mountains, romance and rivers. They are addicted to the truth of experience and the energy behind regret. Bad Summon conjures its own ghost. According to David Baker, the judge who selected the winning manuscript, this is a “surprising, coherent, original collection of lyric poems. I felt peril, heartbreak, catastrophe, sorrow, genuine soulfulness. It’s also funny, yet its humor is not comic but possesses a terrible gravity.” This is a volume every poetry lover will want to explore. but we are falling through water. is how we’ll later describe it. Philip Schaefer is the author of three chapbooks, two cowritten with friend and poet Jeff Whitney. He won the Meridian Editor’s Prize in poetry in 2016. He received his MFA from the University of Montana in Missoula. 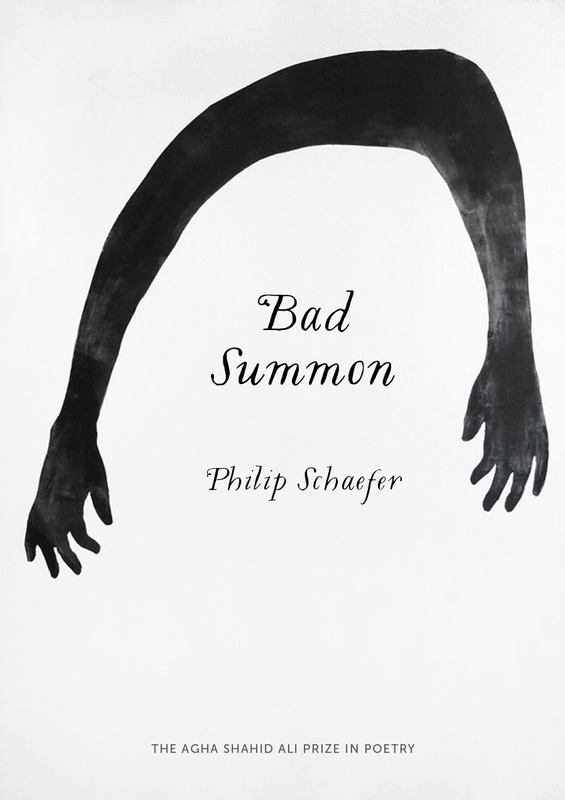 "Philip Schaefer’s debut collection is a workhorse of a book turned unbridled wild-eyed mustang. The scope and shape of these poems are so vast and specific and heart-filled the page seems to bleed. I’m consistently surprised by the amount of leverage this poet is able to pull from the simplest phrase, the lyric made urgent and ravaged and strange. This book is both unlocatable and immediately recognizable. When he writes 'I want to tattoo your imagination onto my lungs' my footing was stable, it was just my breath that was taken away. Read this book."